West 10th Dental provides dental veneers in NYC. Call 212-982-5883 to learn more and schedule your appointment. At West 10th Dental, we are proud to offer high-quality, extremely natural-looking porcelain veneers. We suggest that you whiten your teeth before your veneers are created to ensure that your smile looks its best. Just keep in mind that while your veneers will remain that color, you will need to whiten your teeth periodically to maintain their brightness. 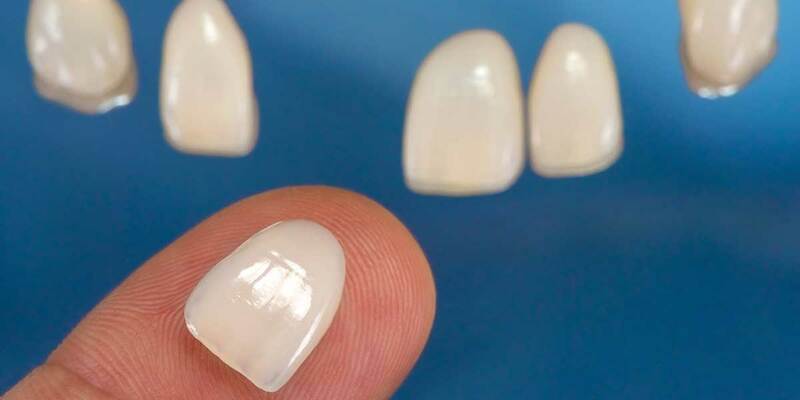 Dental veneers are very thin porcelain shells that slip onto the teeth. We shave off a tiny layer of tooth enamel to prepare your teeth for the veneers, and then chemically bond them in place with a dental cement that hardens under a specialized light. Strong and highly durable, dental veneers can last for many decades with proper care. We will help you choose just the right color, length, tooth size, and fit. It generally takes three office visits to place dental veneers. Your first appointment is a consultation, during which we will help you decide whether veneers are the right choice for you. Should you decide to go with veneers, we will take X-rays and dental impressions, and help you design the look that you want. At your second appointment, we will prepare the teeth that will receive the veneers by removing about 1/2 millimeter of tooth enamel. We will then take additional impressions of just those teeth. We will then send your impressions and detailed instructions to the dental lab. Your third visit takes place when we receive your veneers from the lab. We will carefully fit your new veneers and then chemically bond them to your teeth with translucent dental cement. We will remove any excess cement, adjust the bite as needed, and perform last minute touches to ensure that your veneers are perfect. We will make sure that your new smile is both beautiful and functional. We will schedule you for a follow-up visit to make sure that you are happy with your new veneers, and that your smile is as healthy and beautiful as it can possibly be.